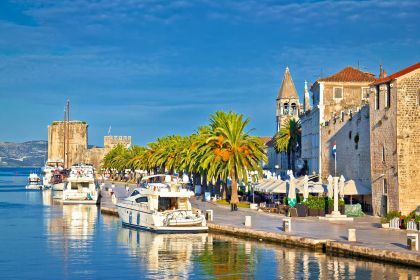 No cruise of the Adriatic is complete without a visit to the island settlement of Trogir, with its historic town and harbour. 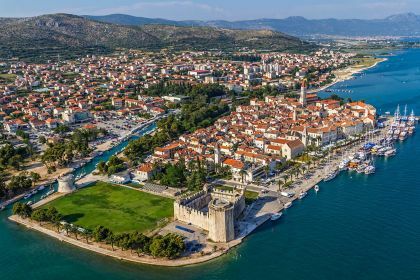 It may be small but it boasts churches, squares, palaces, cathedrals, fortresses and monuments, complemented by fishing and adventure activities for the more sporty visitors. A luxury yacht at your disposal will, of course, turn this great vacation into a perfect one. 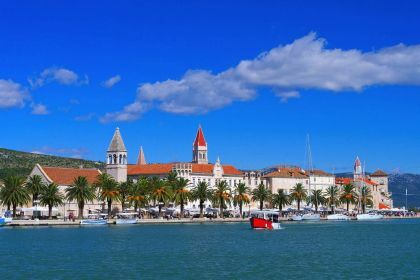 Hidden in the heart of Dalmatia like a pearl in a clam, Trogir (formerly Trau) is one of the oldest cities in the eastern Adriatic. 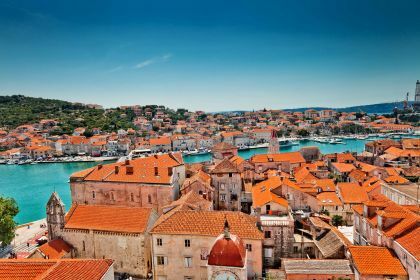 The atmospheric old town, with its well-preserved Romanesque and Renaissance buildings, maze-like narrow streets and pretty fishing harbour, is a delight to explore. The Cathedral of St. Lawrence, cobbled Central Square, St Michael’s Bell Tower, 15th-century Kamerlengo Fortress all add up to a very good reason why the town received Unesco World Heritage status in 1997. Venetian influence is strongly evident here – no wonder, the Venetians ruled the town for around four centuries. 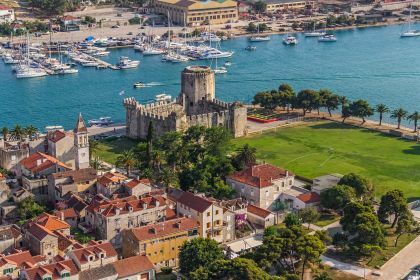 In fact, the island town is virtually a replica of 16th-century Venice, with its collection of Romanesque and Renaissance architecture. An episode of Doctor Who, the British science fiction TV series, called The Vampires of Venice, was even filmed here. 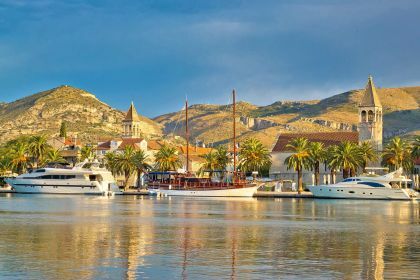 Trogir is an easy day trip from Split and a relaxing place to spend a few days, taking an outing or two to nearby islands, such as Čiovo, with its charming secret beaches. The local cuisine deserves all the accolades it gets. Konoba Trs, for example, is famous for its truffle pasta and seafood; Don Dino makes delicious veal rack and grilled sea bass; Restaurant Vanjaka serves Dalmatian-style fish and lip-smacking mussels in white wine. Speaking of wines – don’t miss Crljenak Kaštelanski, the acclaimed red wine also known as Zinfandel. Or, if you’re in the mood for white wines, try Marastina — it goes particularly well with white fish, complemented with lemon and capers. Fish and seafood play an important role in local cuisine, only natural given the Adriatic islands’ rich marine life. The locals love to fish for sport, but it’s a tourist pastime, too. Try your hand at catching sardines, squid, scorpion fish, pinky redfish grouper or John Dory, also known as St Peter’s fish. Few pastimes compare with the relaxation and reward of fishing in the Adriatic Sea. Once you’re on board your luxury yacht, it takes very little effort to organise. Check out our selection of sailing and motor yachts in Croatia or contact us to take care of everything for you. We know that the small details can make or break a perfect vacation. Don’t hesitate to ask your friendly broker for help with anything — no matter how small. You can call us or leave a message here and one of our Abberley yacht travel specialists will get back to you.